You are here: Home / Compresssion Stockings / How Do Compression Stockings Actually Work? 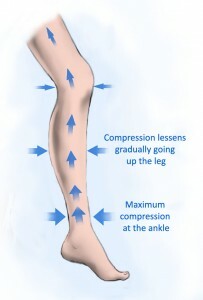 Thank you for explaining how compression stockings work. I didn’t know that the strongest compression point was at the ankle. I’m glad that they can help with work related leg issues. I wonder if these would help my friend’s legs feel better. I will have to let her know about these.